Panning shots of the Korean demilitarized zone. Shots of the Bridge of No Return. Tour given to Korean War veterans by Specialist Warden. Interviews with Korean War veterans. 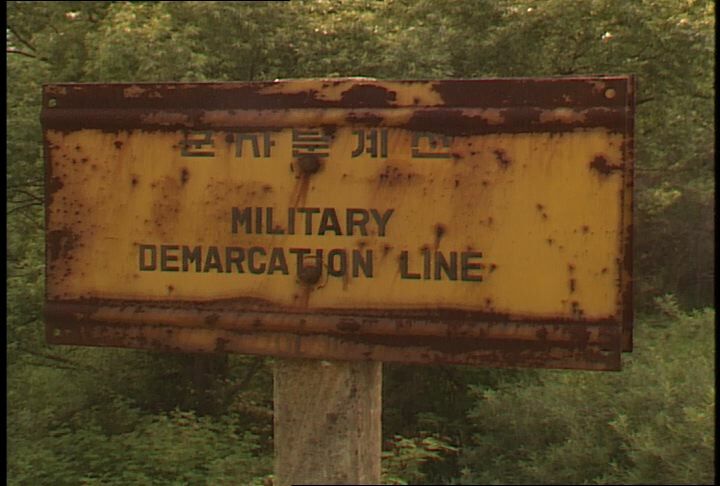 Chicago: “War and Peace in the Nuclear Age; Korean Demilitarized Zone,” 06/11/1986, WGBH Media Library & Archives, accessed April 25, 2019, http://openvault.wgbh.org/catalog/V_D866A4BFFD8146189B2244BE216D2AFD. MLA: “War and Peace in the Nuclear Age; Korean Demilitarized Zone.” 06/11/1986. WGBH Media Library & Archives. Web. April 25, 2019. <http://openvault.wgbh.org/catalog/V_D866A4BFFD8146189B2244BE216D2AFD>.